Guinea pigs make intelligent and loving pets but they can also demand a lot of time, attention and money. If you’re deciding on bringing guinea pigs into your life, there are a few key things to consider before doing so. While small, guinea pigs can be very messy. Your guinea pig will play and run in their hay, carry their vegetables around and though your guinea pig may give themselves a designated ‘potty area’ (such as the corners of their cage), your guinea pig will never be fully toilet trained. Keeping their environment clean is very important in keeping your guinea pig happy and healthy as a dirty cage can lead to a poorly guinea pig with health complications like URIs or ringworm. 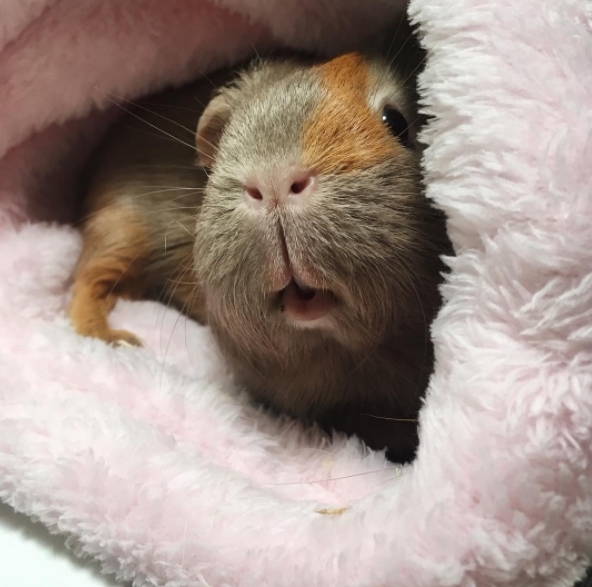 The type of bedding you use can also affect how clean or messy your guinea pigs are. Paper and wood shavings are a popular option, but can be easily flicked out of their cage while they are playing and can also get dirty quickly if not frequently cleaned. Fleece liners are an alternative bedding option to paper or wood and can be easily spot cleaned, washed and reused. While their cages may get very messy, guinea pigs themselves are clean animals and wash themselves regularly. Keeping their cage clean is very important to ensure the health and well being of your pet. Guinea pigs are very social creatures that need to live with at least one other guinea pig, or even better, multiple guinea pigs. You cannot substitute another guinea pig with a different rodent as not only will they not be able to communicate with each other, but it’s not safe to house guinea pigs with other species of rodents. It is strongly advised that your guinea pig has at least one friend to live with unless your vet has suggested otherwise. Guinea pigs who live alone can get depressed, so it’s very important they have a friend to talk to and play with to ensure their happiness and well-being. 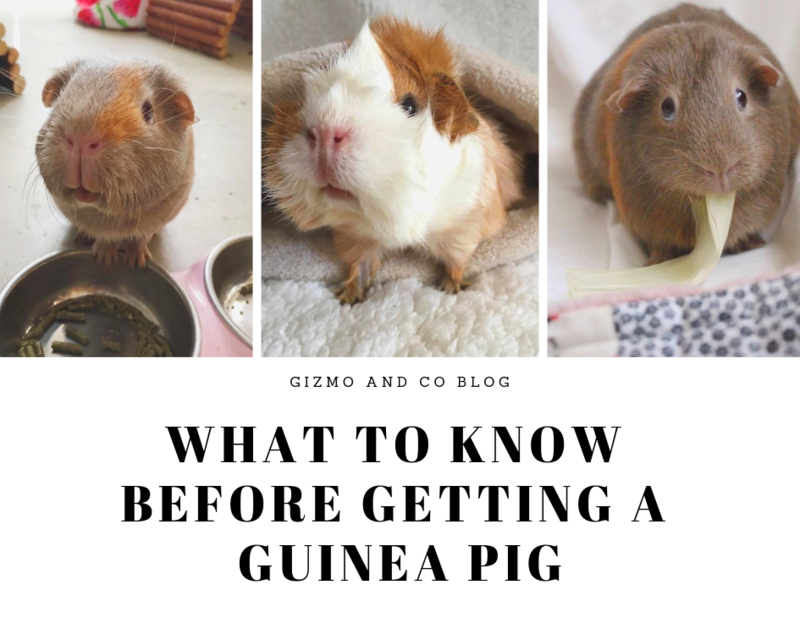 While your guinea pig may only cost a few dollars when you purchase them, their start up needs can be expensive and over time, the costs of owning guinea pigs can add up. Guinea pigs require a continuous supply of fresh hay, as well as appropriate pellets and fresh fruits and vegetables to keep their nutritional needs satisfied. 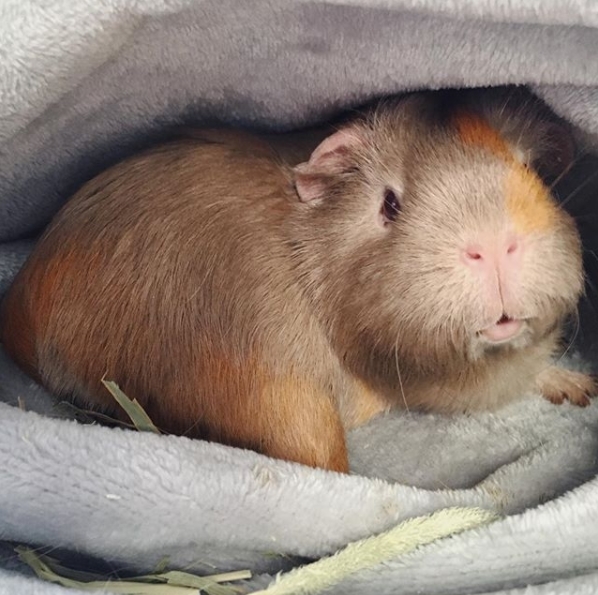 As well as grocery expenses, your guinea pig will need a large enclosure, bedding, and at least a few hidey huts and toys to interact with so it’s important that you are able to financially support yourself as well as your guinea pigs. One of the largest costs of guinea pigs is vet bills. Even if you don’t think your guinea pig will ever get sick, you never know what could happen down the line. Tumors, respiratory infections and skin conditions are all health risks that your guinea pig could develop at any age so it’s important to put some money aside for emergency vet bills. Before getting any pet you have to be prepared for unforeseen health difficulties that they may face to ensure their quality of life. It’s important that you provide enough space for your guinea pig to live in. While most pet shops carry cages that are marketed towards guinea pigs it’s very rare that these cages are actually appropriate. The minimum space for one guinea pig is 7.5 square feet, with more space needed for each pig added. Two guinea pigs will live comfortably in a 10.5 square cage but will need more space for territorial reasons if male. Guinea pig cages are big, but luckily there are many customisable and affordable options to choose from – you can even make your own! More information on guinea pig cage sizing can be found here. Guinea pigs make a variety of sounds, from squeaking for food to rumbling and chattering. They aren’t quiet pets as they talk to each other and can make a lot of noise in general. Guinea pigs are also active at night, which means their noises could irritate you if you are a light sleeper. Baby guinea pigs can also be very noisy when crying for food or attention but easily settle when their needs are met. Guinea pigs live an average lifespan of four to eight years making them one of the longest living pet rodents. While breed, illness and medical care are all factors in lifespan, having a nutritionally balanced diet is of major importance in maintaining the overall health of your guinea pig.Proper care, attention and love will all ensure the overall happiness and well being of your guinea pig. You can read more information on your guinea pigs diet here. As guinea pigs always need a partner to live with, the cycle of guinea pigs never really ends unless you surrender or re-home your pets. If you have two guinea pigs and passes, it’s important that you house your guinea pig with another partner which is why it’s so hard to break out of the guinea pig cycle. If you do not introduce your single guinea pig to a new friend they may live the rest of their life in a very lonely or even depressed state. As above, guinea pigs can also live fairly long lives to it’s important to plan your future with your guinea pig in it. Where will you be in the next 4 – 8 years? Will your guinea pig be able to join you in your life? If you need to surrender your guinea pigs for any reason it’s important that they are re-homed with their partner or introduced into a new herd. While all this might seem like a lot, the best way to care for any animal is to educate yourself first. Before getting any pet you should educate yourself about their needs and wants by researching or even speaking to an experienced vet. Guinea pigs are exotic animals, who require specific housing and nutritional needs but are very intelligent, fun and loving pets to have. If you show your guinea pig love and trust, it will only return love and trust back to you. Guinea pigs are for life.